With China’s mobile market growing larger and larger by the day, ZTE has been producing a number of new devices. More specifically, ZTE has been hitting the sweet spot of low-cost devices. 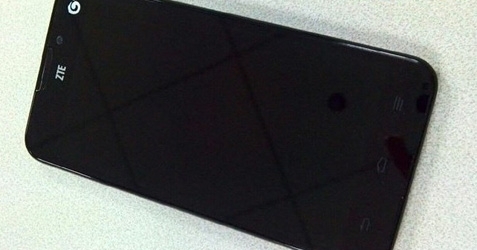 The leaked image shown above is one of a few that shows an unknown ZTE device marked up for China Mobile. Other than the wireless carrier, the only other thing that is known for sure is that the ZTE U956 will have a rear facing 8 megapixel camera. According to the rumor mill, this device will pack Android 4.1.2 Jelly Bean, a 5-inch 1,280 x 720 pixel display and a quad-core MediaTek MT6589 processor. Not to mention support for China’s TD-SCDMA networks. Currently, speculation has the U956 at 1,499 yuan or about $242 USD. This price point, matched with relatively good specs, makes the low end device a prime purchase for a good deal of mobile users. Furthermore, instead of spending over $500 or $600 on an unlocked smartphone, you can get this one for less than half of that. Not to mention that fact that a new smartphone will most likely run you $200 with a 2 year agreement. Do you ever see yourself buying a device made by ZTE rather than by a larger manufacturer? How do you think low cost quad core devices will effect the smartphone market in China and even America? Let us know in the comments below.